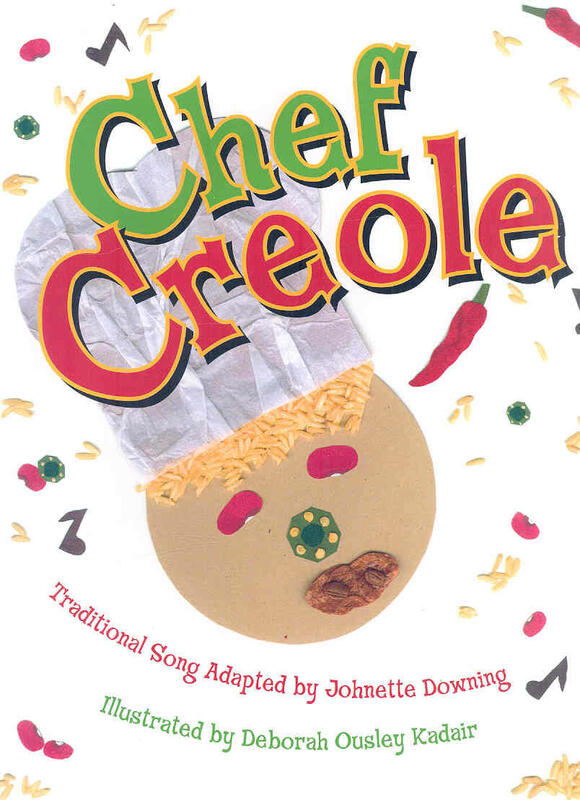 Johnette Downing is an award winning singer, songwriter, and author. A native of the Pelican State, her books highlight the culture and traditions unique to south Louisiana. 2018 is a special year because it’s the 300th anniversary of the founding of the city of New Orleans. 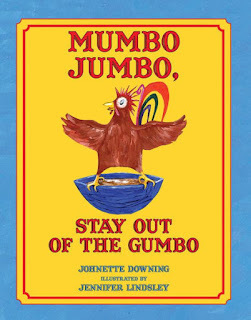 A great way to celebrate this tricentennial with books is sharing a taste of Louisiana through Downing’s work. Downing received the 2017 Louisiana Writer Award. 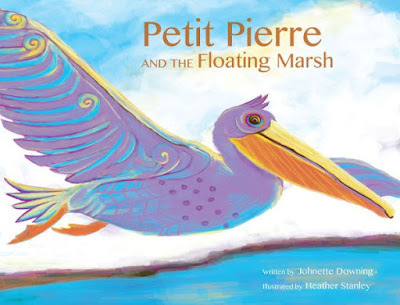 Her book, Petit Pierre and the Floating Marsh, represented the State of Louisiana in the Pavilion of States at the 2016 National Book Festival. This story addresses conservation in the Louisiana wetlands and was created in partnership with the Audubon Nature Institute and the New Orleans Pelicans professional basketball team. When thinking of the advice often given to writers about writing what you know and writing what you love, Johnette Downing is an author who does that quite well and can always come up with fresh ideas. 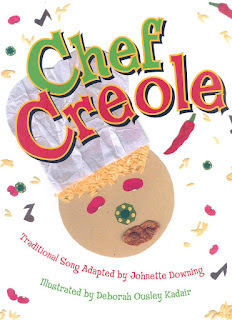 Her books, Chef Creole, Mumbo Jumbo, Stay Out of the Gumbo, Today is Monday in Louisiana, My Aunt Came Back from Louisiana, all feature Louisiana’s unique culture and traditions using Johnette’s amazing musical talent. Watch her perform Today is Monday and you'll understand why she's called the "Pied Piper of Louisiana Music Traditions" and the "Musical Ambassador to Children". Her “Today is” book series include Texas, Kentucky, and New York. Pourquoi means "why" in French. Passed on through a culture via oral storytelling. The plot tells why or how something changed from the way it was to how it is today. Why the Crawfish Lives in the Mud, Why the Oyster has a Pearl, are origin tales and Why the Possum has a Grin, based on a Louisiana Choctaw tale, includes two origin tales in one. light that entices and misleads a traveler. In the bayou, this light is known as the fifolet. Louisiana legend says it will mislead anyone who tries to follow it. 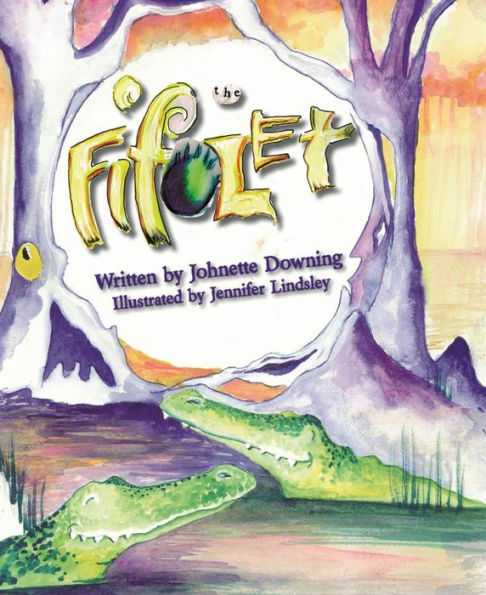 The Fifolet, is based on folklore told in the bayou by Louisiana Cajuns and native Louisianans, the Houma Nation. The story is about a greedy fisherman who follows the fifolet in hopes of finding a treasure. It's an eerie, spooky, ghostly tale! Downing not only writes in different genres, she also illustrates. Amazon Alphabet is a nonfiction concept book with facts about the diverse environment and animals in the rainforest. Back to her Louisiana roots in How to Dress a Po’ Boy, Downing uses lyrical text to explain what goes inside these New Orleans style sandwiches. A cut-paper collage technique is used to illustrate both books. 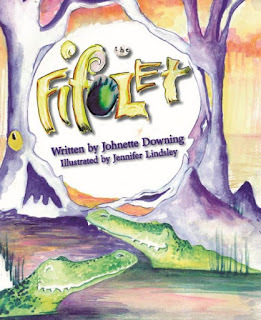 In addition to her storytelling, musical ability, and talent for illustration, Johnette Downing is a champion of children’s literature. 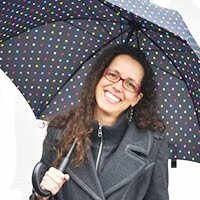 She creates books that engage kids beyond reading. Her young audience is able to see, hear, boogie, and sing to her words. Reading is a tasty treat too! Downing delights in her delivery and approach to promoting literacy. As we start a new year in search of mentor texts to study, let's heed her words, pick up a book and READ! I love this, Keila! I love the integration of reading and music. Thanks for introducing me to Johnette Downing! Welcome Kirsti. Her books are so much fun, and playful. Wow, Keila! She's got a fabulous voice! Not only are her tunes catchy, she makes me hungry for books and food. And I love the alliteration of Petit Pierre, a book I'll have to check out. Thanks for highlighting Johnette's work! Isn't she fun to watch? And in person she engages adults as well as kids. I know you will enjoy her books Jilanne. I adore how she addressed conservation of the wetlands in Petit Pierre. This is great! Read, read, read! Yes indeed, as we say down in south Louisiana! More finding the objectives and thoughts on partnership and more addresses conversation represented tips. More best essay writing service culture tricentennial books and college based methods for the great downing fresh ideas,thanks.